Consulting editor of NDTV, the outspoken TV anchor faced a bit of a role reversal, having to take the hot seat at many events for the promotion of her first book, This Unquiet Land: Stories from India’s Fault Lines, which released earlier this year. Met with mostly positive reviews, the hard-hitting tome chronicles the country’s political, social and religious events and issues that the ace journalist has lived through over the years. 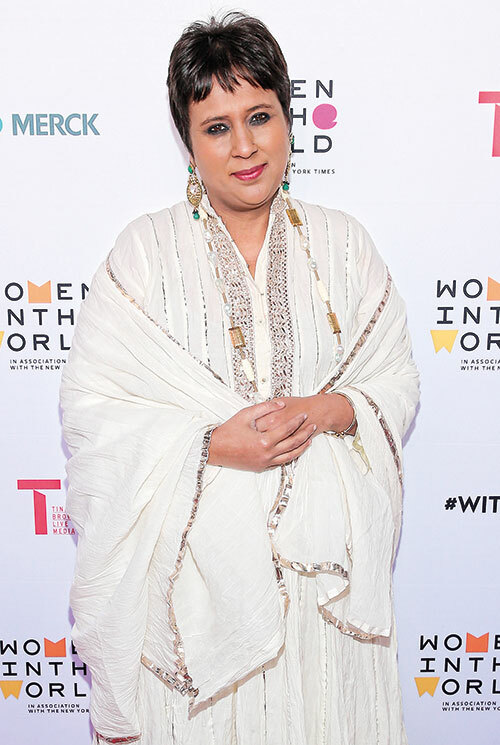 Barkha Dutt — who unwinds from long days at work by binge-watching TV shows — also made a mark at last year’s International Emmy Awards in the USA. She proudly walked the red carpet at the felicitation night, where her programme, The Buck Stops Here, was nominated in the news and current affairs category for its stellar coverage of the 2015 Srinagar floods: a first for any Indian TV show. The feisty news reporter also began this year by announcing the launch of her digital media venture, The Print, co-founded with media veteran Shekhar Gupta. Read about our next power woman, Jayalalithaa Jayaram.